Shortly after arrival to Taha’a we discovered that it is known as the Vanilla Island. Knowing this, we decided to embark on a tour of a local vanilla plantation. Seeing the process of growing vanilla and how pungent it is, was pretty mind blowing. Vanilla vines were introduced in French Polynesia in 1848 and brought there from the Philipines, New Indies and Mexico. A local variety was created by crossing 3 types of species of vanilla and the plantations are located in the rich soil of the valleys on Taha’a. 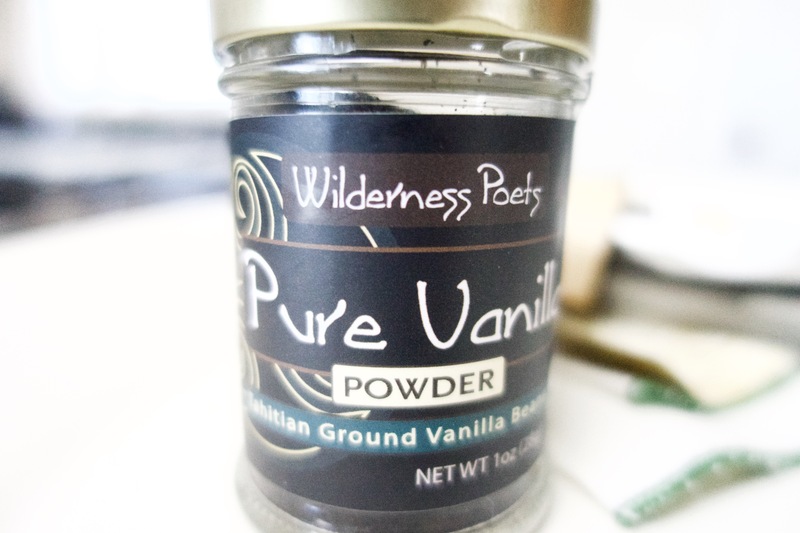 This vanilla is known as “vanilla tahitensis” and is often referred to around the world as “black gold”. All of this leads to the reason I’m making this creme brûlée today, it is unlike any creme brûlée we have ever had. (Brandon, Kaitlynn and Brody will vouch for me on this). So, lets get to the good stuff. 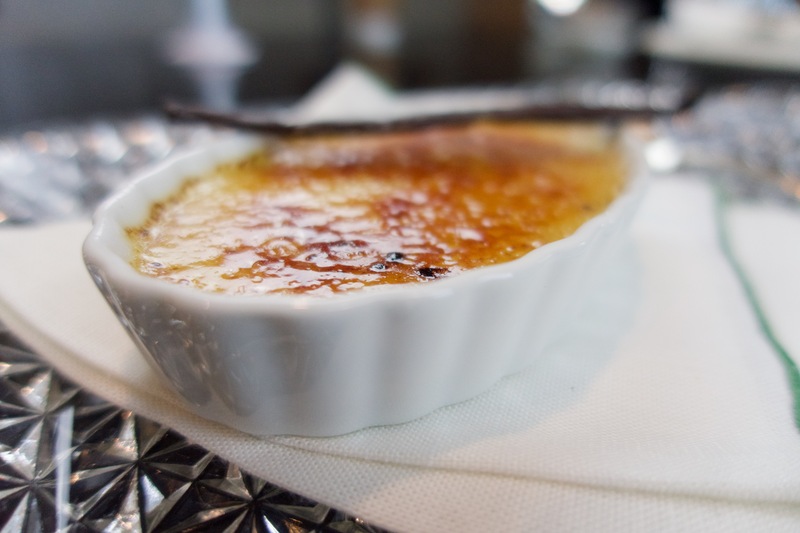 Here is how to use that “black gold” and replicate the Taha’a Style creme brûlée. In a small saucepan, bring the heavy cream to a boil. Turn off the heat and add in your vanilla powder (if you’re using extract, double the listed powder amount, powder is 2x stronger than extract). Separate your 3 egg yolks into a separate mixing bowl. Whisk in the granulated sugar. Once combined, take your vanilla cream from the stove and begin slowly whisking it into your egg mixture. Carefully our this mixture into your ramekins and place into the roasting pan. Slowly pour hot water into the roasting pan so that its coms about 1/3 of the way up the sides of the ramekins. Bake for 25 minutes. The custards should be set with a little jiggle at the center. Remove from the oven, take the ramekins out of the water and cover them in seran wrap to cool in the fridge for a few hours. Once cool, you’re ready to torch. 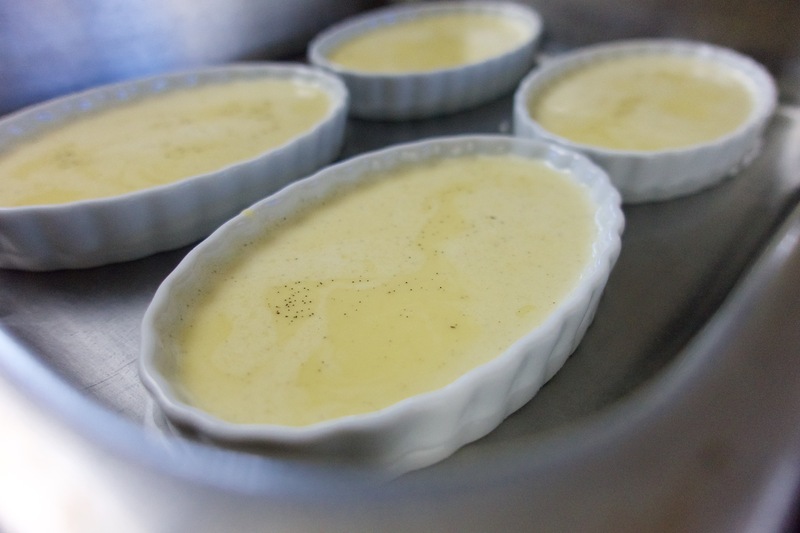 Sprinkle on one layer of the superfine sugar and shake the ramekin gently to help the sugar distribute evenly. Let the sugar soak into the custard then add another layer of sugar. When you start torching you will see bubbles form and the sugar caramelizing. Once you see this start to happen direct your torch to the next area, it will continue to cook once you move on (its a very hot flame). Let your sugar cool off for a minute and enjoy! 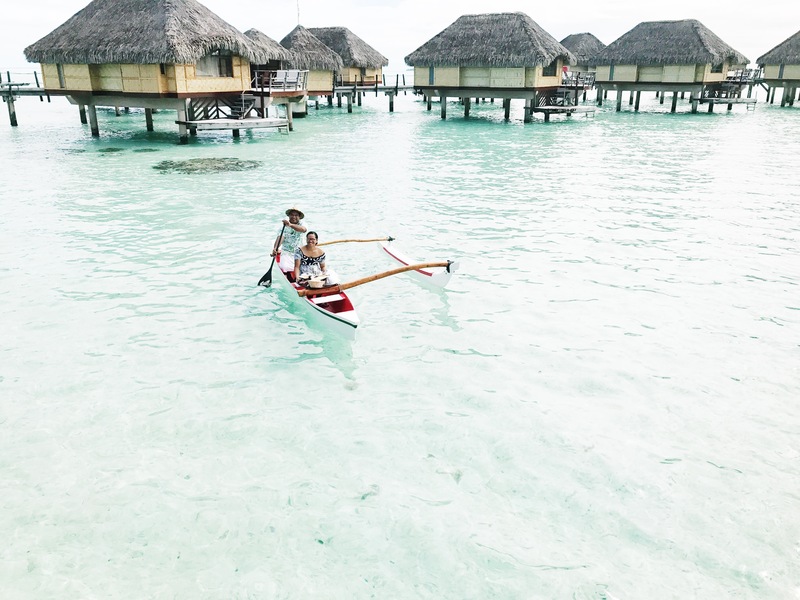 Side note: If you’re ever planning a trip there, use Chris Butler at Tahiti Legends, they planned an unbelievable trip for us!